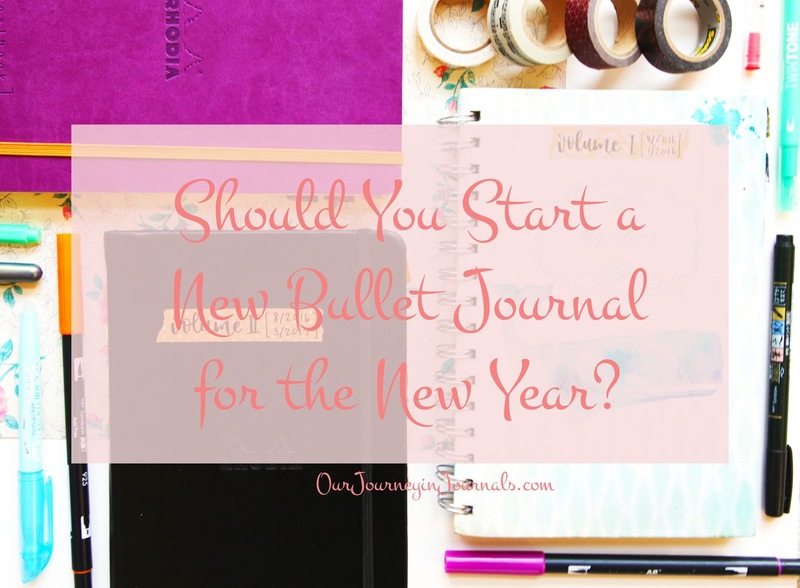 Our Journey in Journals: Should You Start a New Bullet Journal for the New Year? Should You Start a New Bullet Journal for the New Year? At this time of year, I see this same question pop up over and over again in the various bullet journal Facebook groups that I am in: should you start a new bullet journal for the New Year? Today, I'll be giving my opinion on the topic (and the opinions of other people that I've collected - special thanks to the lovely people in the Boho Berry Tribe!) and shed some light on why or why not you might want to enter a new notebook for 2018 (or whatever year, dear reader, that you happen to be entering at this particular time). For me personally, I have never started a new notebook for New Year's, and I don't foresee myself doing so anytime in the near future. In my opinion, it's such a waste of paper (and sometimes money) to just abandon a bullet journal if there's less than a month's amount of pages still left. Plus, it can be a hassle to either have to buy a new notebook or decide on one you already possess. Also, one of the beauties of the bullet journal system is that you can start a notebook at any time of the year, and you can use it for as little or as much time as it takes to work through it - whether that's 3 months, 1 year, or anything else. This lack of time constraints, unlike in a pre-printed planner, allows for as little wasted paper as possible, and it means that you don't necessarily have to begin using a new notebook at the commencement of each year - only when you need to. Tl;dr - you shouldn't start a new bujo at the New Year because it's a waste of a half-filled notebook and resources to obtain a new one when you still have pages left. However, some people like using a different notebook for the New Year. First of all, it can be a physical or mental fresh start. For example, if you maybe got into a bad time in your life in 2017 and your bullet journal reflected that (like maybe with blank spreads that make you feel sad), then you might want to start using a new bullet journal for next year in order to leave that all behind. Or, if you've been wanting to make a big change in your system or if you want to motivate yourself into better productivity habits - whether it's with bullet journaling or just your life in general, then starting a blank notebook in the New Year can feel like a clean slate. Also, some people wanting to change the type of notebook they utilize as their bullet journal take advantage of a new calendar year to make the switch. For example, if you've been using a normal bound journal but think a Filofax would probably be better for you, then January 2018 would be an appropriate time to change over. Additionally, I've seen people that like to use the empty pages from last year's bullet journal as scratch paper to test out new layouts so they don't potentially "ruin" pages in their current bujo. And of course, if you're picky with needing to separate the years in your planning system, then you really have no other choice than to start a new bullet journal in the New Year. Tl; dr - you should start a new bullet journal if you need a fresh start - whether for your mental well-being, bujo system, notebook type itself, or just to satisfy the need to separate out the years. At the end of the day, there is no objective "right" or "wrong" thing to do in this situation. After all, bullet journaling is a very personal activity, and you should just do whatever feels right for your own life. 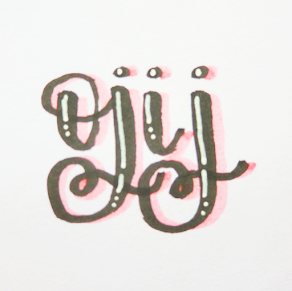 However, if you are not strongly leaning towards a particular side, then I think you might as well just continue with your current bujo. What's your opinion on the matter? Let us know in a comment down below!